Huan Cheng，Xi Li*, et al; Control-Oriented Modeling Analysis and Optimization of Planar Solid Oxide Fuel Cell System. Xiaowei Fu,Yuhan Xiang, Xi Li*, et al; A Novel Ni/YSZ Anode Image Segmentation Method for Solid Oxide Fuel Cell Electrodes Microstructure. Hongliang Cao, Xi Li*, Thermal management oriented multivariable robust control of a kW scale solid oxide fuel cell stand-alone system. Xiaowei Fu,Yuhan Xiang, Xi Li*, et al;  Solid oxide fuel cell anode image segmentation based on a novel quantum-inspired fuzzy clustering. Lin Zhang, Xi Li*, et al; Control strategy for power management, efficiency-optimization and operating-safety of a 5-kW solid oxide fuel cell system. Jianhua Jiang, Xi Li*, et al; Modeling and Model-based Analysis of SOFC Thermal-Electrical Management System with an Air Bypass Valve. Lin Zhang, Xi Li*, et al;  Dynamic modeling and analysis of a 5-kW solid oxide fuel cell system from the perspectives of cooperative control of thermal safety and high efficiency. Huan Cheng，Xi Li*, et al;  A Nonlinear Sliding Mode Observer for the Estimation of Temperature Distribution in a Planar Solid Oxide Fuel Cell. Jianhua Jiang, Xi Li*, et al; Control-oriented dynamic optimization of steam reformer with an improved optimization algorithm. 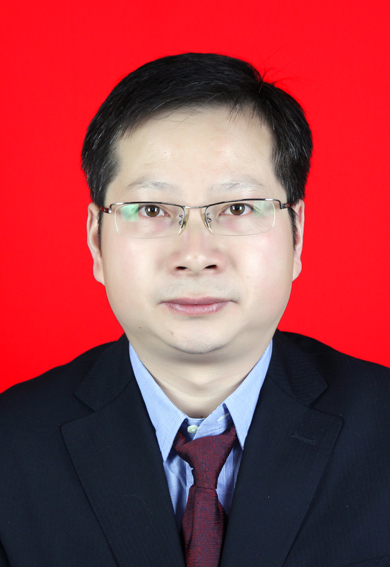 Jianhua Jiang, Xi Li*, et al; Steady-state analysis of 5kW SOFC system with novel configuration. Electrochemical Society Transactions 2013; 57(1): 437-442. Cao HongLiang, Xi Li*, Deng ZhongHua, et al; Thermal management oriented steady state analysis and optimization of a kW scale solid oxide fuel cell stand-alone system for maximum system efficiency. Jiang Jianhua, Li Xi*,Deng ZhongHua, et al; Thermal management of an independent steam reformer for a solid oxide fuel cell with constrained generalized predictive control. Li Xi*, Deng ZhongHua, Qin Yi, et al;Parameter optimization of thermal-model-oriented control law for PEM fuel cell stack via novel genetic algorithm. Li Xi*, Deng ZhongHua, Qin Yi, et al; Novel variable structure control for the temperature of PEM fuel cell stack based on the dynamic thermal affine model. Cao HongLiang, Li Xi*, Deng ZhongHua, et al; Dynamic modeling and experimental validation for the electrical coupling in a 5-cell solid oxide fuel cell stack in the perspective of thermal coupling. Yang Jie, Li Xi*, et al; Parameter optimization for tubular solid oxide fuel cell stack based on the dynamic model and an improved genetic algorithm. Cao HongLiang, Deng ZhongHua, Li Xi*, et al; Dynamic modeling of electrical characteristics of solid oxide fuel cells using fractional derivatives. Deng ZhongHua, Cao HongLiang, Li Xi*, et al;  Generalized predictive control for fractional order dynamic model of solid oxide fuel cell output power. Yang Jie, Li Xi*, et al; Predictive control of solid oxide fuel cell based on an improved Takagi-Sugeno fuzzy model. Yang Jie, Li Xi*, et al; Control-oriented thermal management of solid oxide fuel cells based on a modified Takagi-Sugeno fuzzy model.